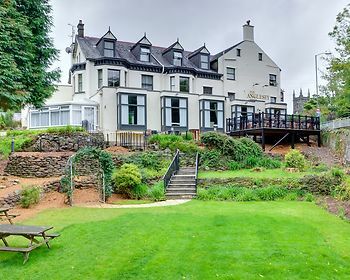 The Anglesey Arms Hotel, Menai Bridge, United Kingdom - Lowest Rate Guaranteed! With a stay at The Anglesey Arms in Menai Bridge, you'll be within a 10-minute drive of Bangor University and St Tysilio's Church. This 4-star inn is 8.4 mi (13.5 km) from Caernarfon Castle and 8.7 mi (14 km) from Zip World Penrhyn Quarry.